As the dog days of summer are quickly coming to a close and we begin to turn our attention all things fall, there is much to look forward to. From apple picking to corn mazes, from chunky sweaters to boots, and lest we forget, all things pumpkin spice, the signs and symbols that tell us another brilliant New York autumn is just around the bend are plentiful. While we rush fill our weekends with adventures to the countryside, football in the den and hearty meals in the Crockpot, we must also carve out time to care for our homes. Winter will quickly sneak up on us and if we haven’t taken the time to adequately prepare, our homes will surely let us know. Starting on the outside of the home there are a number of tasks that we should address before the snow begins to fall. 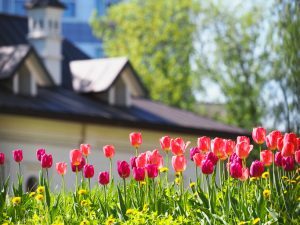 Take time to tend to your landscaping by cutting back plants, raking leaves and trimming bushes and trees. Pay special attention to those trees that look as if they could be vulnerable to losing branches in a wintertime storm, especially if they are close to the house. 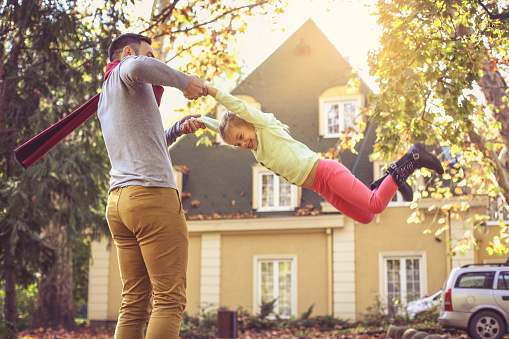 The fall is also an excellent time to do a final walk around your property before the snow covers everything to look for areas of the roof and siding that could be susceptible to leaking. Patching a weak spot in the roof or caulking cracks in the siding that have crept up on you over the summer can be all it takes to keep moisture out of your home during the winter months and interior water damage at a distance. Finally, if you have an exterior air conditioning unit, make sure you cover it to protect the unit from the elements. Patio furniture, grills and other outdoor summertime staples should also be either stored inside or at the least, covered to ensure that they are in excellent working order when spring once again knocks on our door. As we wrap up the work on the outside of our homes and move inside, we can start at the very door we use to enter the house. We want to check the quality of the seal between the door and the frame to ensure that it is not cracked or dried out. Seals that are showing signs of aging are an invitation for heat to escape and energy bills to soar. To fight back against energy loss, simply replace the seal around each exterior door, as well as the windows to help keep your home airtight and reduce your heating expenses. Autumn is also an excellent time to schedule annual routine maintenance for your furnace, as well as changing the air filter. Regularly having an expert come into your home to clean your furnace will also allow you the opportunity to ask questions, share concerns and get a timeline for when you may be likely to experience problems. 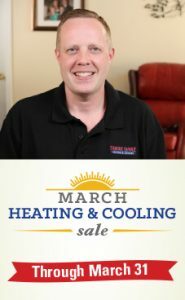 This will allow you to budget for repairs as well as have any issues addressed before they escalate and you find yourself without a heat source in the middle of a long winter’s night. In just a few weekend hours, spread out over the course of a couple of weeks even, you can have your home, both inside and out, ready to take on another New York winter. With this maintenance behind you, there will be plenty of time for stress-free evenings and weekends in front of a roaring fireplace while surround by the ones you love. Do you ever feel possessed by your possessions? Does it almost feel as if you’re a slave to your stuff? Have you ever wanted to put an end to that cycle and take back your space? Your life? If so, then it’s time to organize. Here are some strategies to help you purge what you don’t need, better organize what you do and live a simpler life that provides you with more leisure time. It can be hard to resist the allure of a great deal and for many of us, the psychology behind that way of thinking has led us to continuously buy more than we need and consequently, overcrowd our homes. It is never too late to break these habit loops and make a conscious decision to declutter and simplify both your home and your life. Regardless of the size of your home we suggest that you start with an overall plan and then begin tackle the project one room at a time. Do you want to reduce the amount of clothing that you have? Perhaps scale back on the holiday decor that is taking up valuable real estate in your garage, basement or attic? Clean out the toys in the kids’ rooms? Whatever your goal may be, begin to visualize it and then get to work. Now that we are close to summer’s end, perhaps the garage is a great place to start. You’ll want to take inventory of what you have in order to determine what you want to keep so it is best to pull it all out so that you can see everything. While this may be a bit overwhelming for some, it is a necessary part of the process. From here it is time to have an honest conversation with yourself about what you really need and want to keep and what you’re willing to part with. Separate your items into three categories in different areas of the garage and first decide how you want to free yourself of your unwanted possessions. Anything that is irreparable, unusable or simply junk should be thrown away. As for everything else, if you have the time and patience, organizing a garage sale, either at your home or virtually through Facebook or some other electronic venue can bring in some additional cash. If you’d rather just be done with this part of the process, there are a number of organizations that will take your gently used and unwanted belongings and many will even offer you a tax-deductible receipt. Armed with a collection of what you plan to keep, you will want to ensure that you organize these items in a logical manner so they are easily accessible when you need them. Clear plastic totes are a great way to do this for seasonal items and they are relatively inexpensive and easily procured. For your tools and other garage necessities, most hardware and home improvement stores offer a number of options to neatly display these items on a wall-mounted system. This allows your floor space to be free of clutter and makes it easier to maintain. With the garage now an organized showpiece of minimalistic consumerism, you have the know-how and confidence to move on to the next room. As you tackle and work through each room, apply the same techniques discussed here and in no time you’ll feel both as if a weight has been lifted off your shoulders and that you’re living in a completely new space. At Family Danz, we’re all about the comfort of our customers. That’s why we try to offer all the services you need to make your house a home, including heating and air conditioning, home heating oil and plumbing. Our goal is to help you get virtually everything you need under one roof – from a company that strives to treat their customers like family. With that in mind, we updated our website so that it’s easier to navigate, helping to ensure you find just the right products and services for your particular needs. When you visit us, you’ll be able to choose from three easy tabs at the top of the page. From there, you’ll be able to click into a streamlined listing of our products and services, helping you locate exactly what you need. Each of the main pages quickly directs you to any special offers we have available, as well as quick links to pages you need the most, such as emergency repair or fuel delivery. Our mini-sites make it simple for you to look around and discover all that Family Danz has to offer. To learn more about the services Family Danz offers, please feel free to contact us at any time by calling 518.427.8685. We will be more than happy to assist you with any of your home comfort needs. Everyone loves the cool comfort of air conditioning, but not everyone is able to have it. Or, are they? Some people think that because their home, or a space in their home, lacks ductwork, AC is a no-go. But even if you don’t have a ducts, or room to install them, you should know you have options. Ductless AC can provide cool comfort for your Saratoga home – without the added expense of having to install ductwork. Additionally, you can enjoy ductless air conditioning in one specific space, or there are multi-split units available for your whole home. How do you know if ductless is a good option for your home? Have radiant heat installed in your home. If you rely on radiators, baseboard heat, or radiant heat under your flooring, you probably don’t have adequate ductwork in your home. Ductless air conditioning requires no additional ductwork and minimal construction, so it’s a great option for those with radiant heat. Have a finished basement. Installing ductless AC in the finished basement of your Saratoga home is a great idea. Air circulation helps keep moisture at bay, and a ductless system can help keep humidity levels under control. Not to mention, ductless AC offers an advanced level of filtration, so the air will be deodorized and purified. Have an addition or room with no ductwork. Many homes have rooms that are added on long after the home is built, and it can be difficult sometimes to extend ductwork to those rooms. Ductless AC guarantees you’ll get the cooling you need in those rooms, making them more enjoyable for your entire family. Family Danz helps you get the ductless AC you need for your Saratoga home. When you choose Family Danz for the ductless AC needs of your Saratoga home, you’ll benefit from our high quality systems and installation. We are a Mitsubishi® Diamond Dealer, which means we’ve been authorized by Mitsubishi to sell and install their quality ductless systems. With Mitsubishi Ductless, you’ll get precise comfort control. Additionally, these systems provide allergy filtration, remote control and many styles to choose from. As summer winds down, so does air conditioner usage. Nights become cool enough to switch off your unit. Before you know it, your thoughts will turn to your home’s heating system. Maybe this year you noticed your air conditioning system isn’t working as well as it used to. Maybe there were knocks and pings. Or, you weren’t as cool as you’d like to be. Maybe your utility bills were higher than normal. You could be tempted to wait until next summer rolls around to get the needed AC repair for your Saratoga, NY home. Waiting, however, may not be in your best interest. Of course, if you didn’t get the preventive maintenance you needed for your AC system this year, that could be the culprit in your poorly-operating system. The Department of Energy cites lack of maintenance as one of the major players when it comes to AC failure. The main reason this can cause issues with your system and lead to needing AC repair in your Saratoga, NY home is because, quite simply, your system is dirty. Regular air conditioning maintenance helps keep your system clean. Coils are cleaned and filters are changed, and that helps the air flow freely through your system. You can always call Family Danz to help you get the maintenance you need, even if it is at the end of cooling season. Chances are, you may need to switch the AC back on a couple of days here and there this fall. That’s why getting your system maintained late is better than never. Refrigerant leakage is another issue your system could be having that requires your immediate attention. If your amount of refrigerant is not at manufacturer’s specification, then your system will not operate properly or efficiently. Generally, fixing a refrigerant leak and charging your system properly is a fairly simple fix for your technician – but also one that needs prompt attention. Refrigerant leaks aren’t just bad for your system – they’re also bad for the environment. Sometimes, electrical components and wires can corrode in your AC system. If that happens, letting the problem sit over the winter isn’t the best option. Your technician will be able to easily identify corroded parts, and make the AC repairs you need for your Saratoga, NY home. 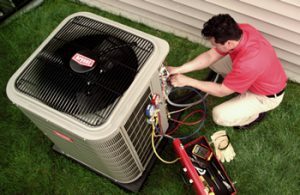 If you need AC repair for your Saratoga, NY home, Family Danz is just a phone call away. It’s never too late to get the AC repair you need for your Saratoga, NY home. Just give Family Danz a call. We’re pleased to provide our customers with professional air conditioning repair and more. Call us at 518-427-8685 and we will be more than happy to assist you. Keeping your business climate-controlled is important. Not only do your employees work better when they’re not too hot, and not too cold. Additionally, your customers will notice when the temperatures at your business are just right. Have you ever been at a restaurant and suffered at the hands of an icy-cold, blasting AC system? Or, conversely, have you ever tried to shop at a store or boutique and left because it was just too hot, humid and uncomfortable? Then you know how important it is to your business to have the right commercial HVAC installed. 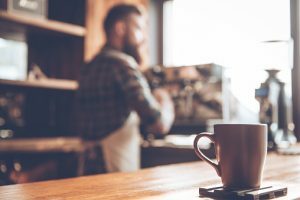 Just like your home, there are many factors that should be taken into account when installing a new air conditioning at your business. Sizing is very important. A system that’s too small for the building will work overtime, and a system that’s too large doesn’t allow for proper dehumidification. And, you’ll want to make sure that you have adequate ductwork in your commercial space, and that it’s properly sealed. If not, you’ll experience cold spots, hot spots and inefficiency. Depending on the size of your commercial space, zoning may be important. If you occupy just a small storefront or office area, then it will likely not be an issue. But, if you have multiple rooms, floors or areas that function differently (i.e. a kitchen and a dining area), then zoning is crucial. And, you’ll want to consider the floor plan when you install commercial air conditioning. Large windows, skylights, upper levels as opposed to basement levels, types of building materials and more all come into play when it comes to the right air conditioning for your space. Family Danz can help you with your commercial AC needs. Fortunately, you don’t have to go it alone when installing commercial air conditioning. Family Danz can help. We are pleased to offer commercial air conditioning installation, maintenance and repair for all sorts of businesses and organizations. 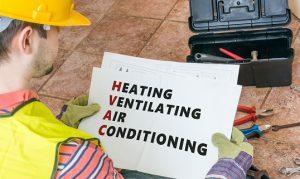 Our commercial team is comprised of highly skilled HVAC professionals who have been trained to diagnose and troubleshoot any repair or replacement a commercial system might require. We’ll help you choose the best, most efficient commercial air conditioning products for your business or organization, all within your budget. Downtime can be costly – that’s why Family Danz works diligently to ensure that your commercial air conditioning service is completed to your complete satisfaction. That way, you can get back to business without missing a beat. We’re pleased to provide our commercial customers with the best quality, most efficient air conditioning systems on the market. If you’d like improved comfort that will keep your customers coming back, call us at 518-427-8685 and we will be more than happy to help.